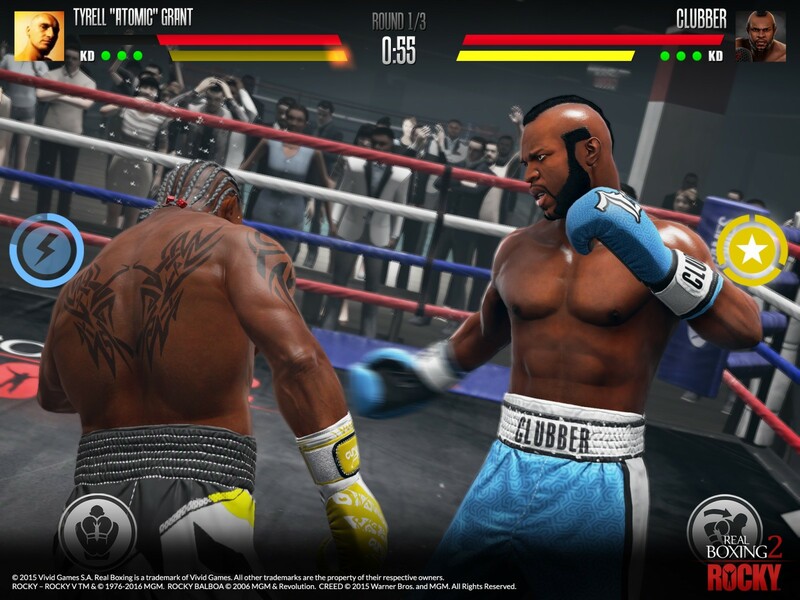 Take the fight to the next level in Real Boxing 2 ROCKY™ – sequel to the award winning Real Boxing™ and the first authentic ROCKY experience for mobile devices! 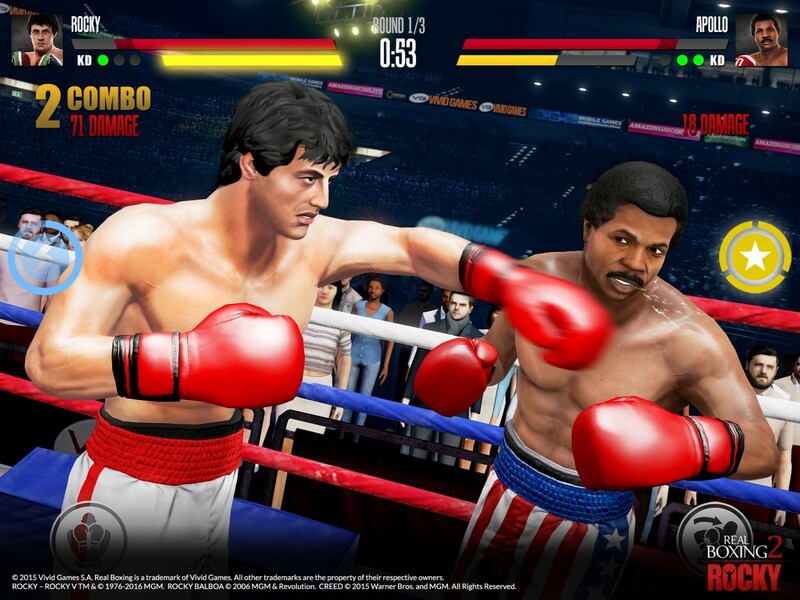 Enter the ring as Rocky Balboa and relive the epic boxing saga as you face legendary opponents including Apollo Creed, Clubber Lang and Ivan Drago. 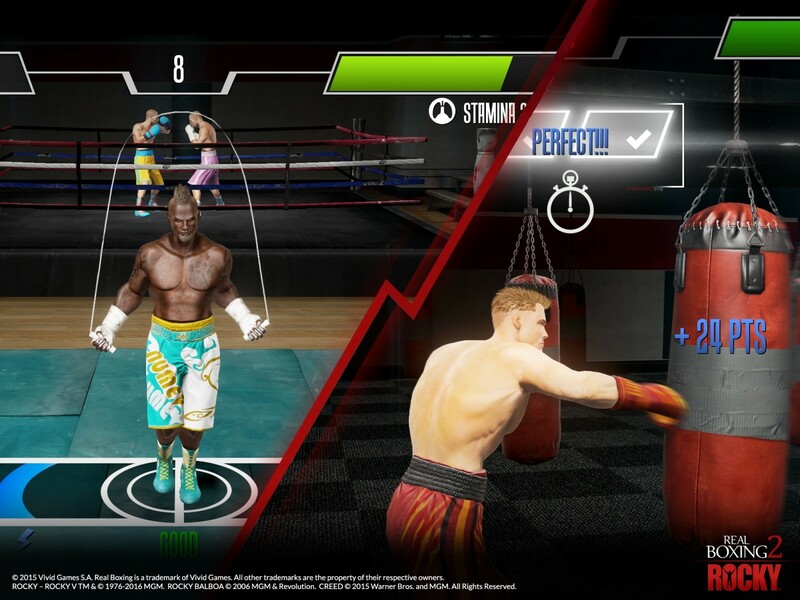 Explore the world of ROCKY like never before with unique unlockable ROCKY-themed content and fight your way to the top. 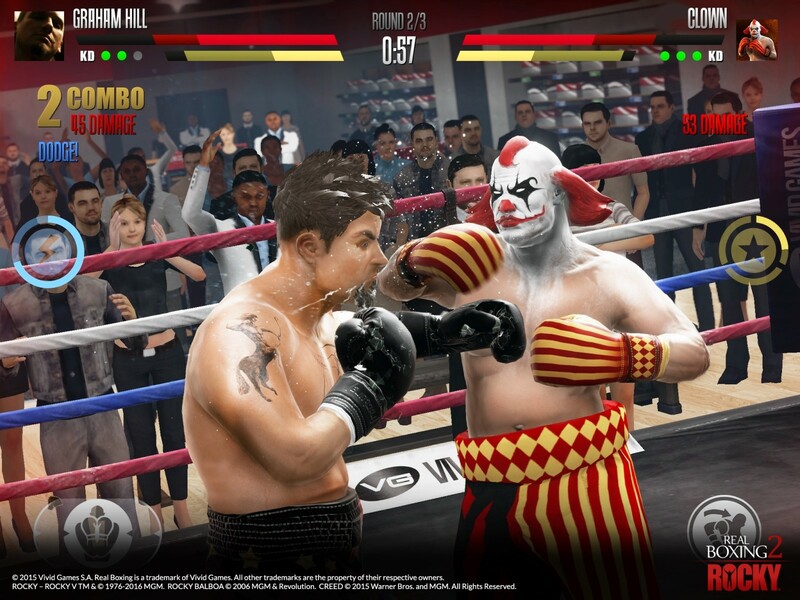 Create your own boxer and train with Mickey Goldmill to win the World Champion title in a seamless singleplayer and ranked multiplayer Career mode! Create your own play style using hundreds of powerful upgradable items, abilities and a variety of character stats. Ready for Round 2?